The birth certificate dispute dates back to before the 2008 election. Critics, including Hillary Clinton, raised the issue about Obama’s status as a “natural-born citizen.” Not defined in the Constitution, it probably was thought at the time of the writing of the Constitution to be someone born of two citizen parents. Obama fails that test because his father was a Kenyan student visiting the U.S.
Arpaio assigned his Cold Case Posse to look into the issue before the 2012 election, when constituents approached him and asked him to check whether Obama would be an ineligible candidate on the presidential election ballot. “The whole [issue] is more nefarious than you can imagine,” Zullo said, crediting Arpaio for ordering the investigation and sticking with it. “He knows in his gut that something is wrong,” Zullo said. Dozens of lawsuits have been filed without success. One case is pending before the Alabama Supreme Court for which Zullo provided evidence. Read all the arguments in the birth certificate controversy, in “Where’s the Birth Certificate?” and check out the special reports, banners and bumper stickers on the subject. 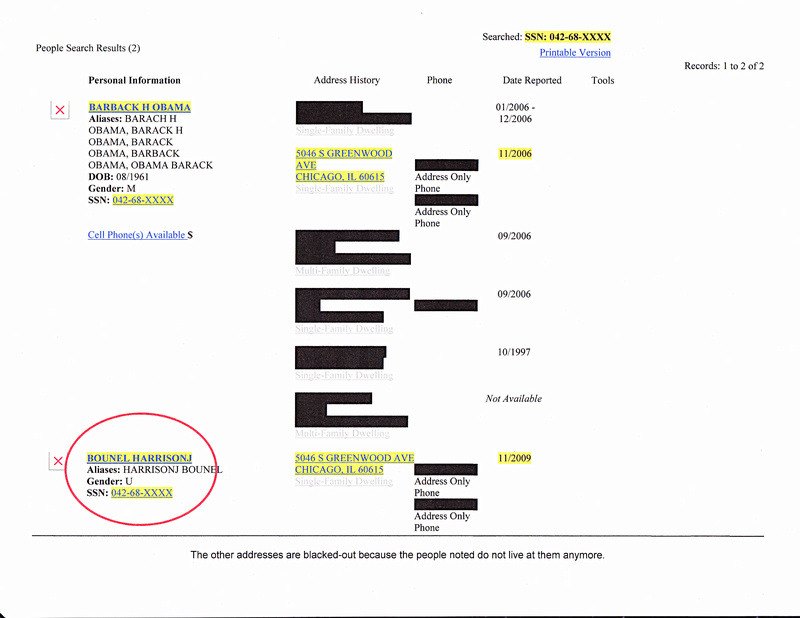 Zullo has testified that the White House computer image of Obama’s birth certificate contains anomalies that are unexplainable unless the document had been fabricated piecemeal by human intervention, rather than being copied from a genuine paper document. 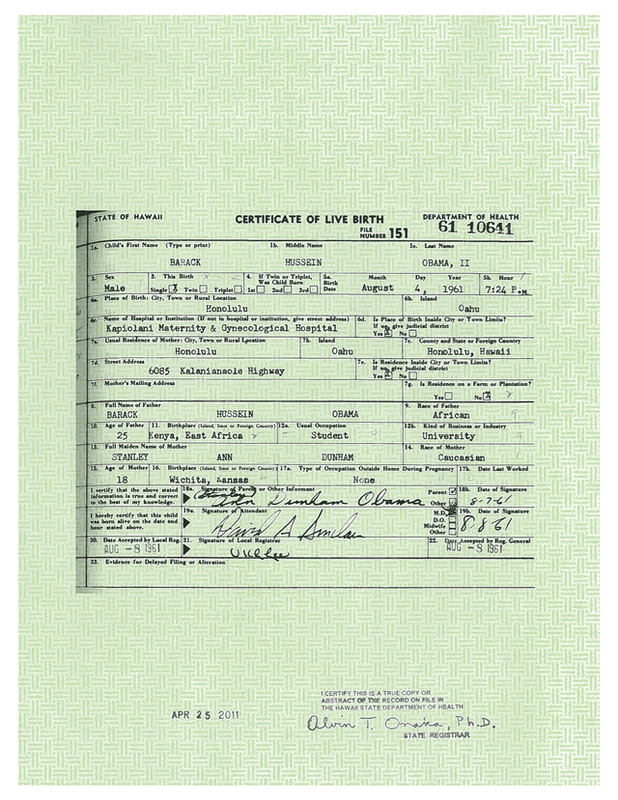 Zullo also has noted that the governor of Hawaii was unable to produce an original birth document for Obama, and it should have been easy to find. More recently, Grace Vuoto of the World Tribune reported that among the experts challenging the birth certificate is certified document analyst Reed Hayes, who has served as an expert for Perkins Coie, the law firm that has been defending Obama in eligibility cases. “We have obtained an affidavit from a certified document analyzer, Reed Hayes, that states the document is a 100 percent forgery, no doubt about it,” Zullo told the World Tribune. The Tribune reported Hayes agreed to take a look at the documentation and called almost immediately. “There is something wrong with this,” Hayes said. “In over 20 years of examining documentation of various types, I have never seen a document that is so seriously questionable in so many respects. In my opinion, the birth certificate is entirely fabricated,” he says in the report. Investigator Douglas J. Hagmann of the Northeast Intelligence Network reported this month that in October an affidavit was filed in a court case, under seal, that purportedly identifies the creator of the Obama birth certificate. He said Douglas Vogt, an author and the owner and operator of a scanning business who also has an accounting background, invested over two years in an investigation of the authenticity of document. 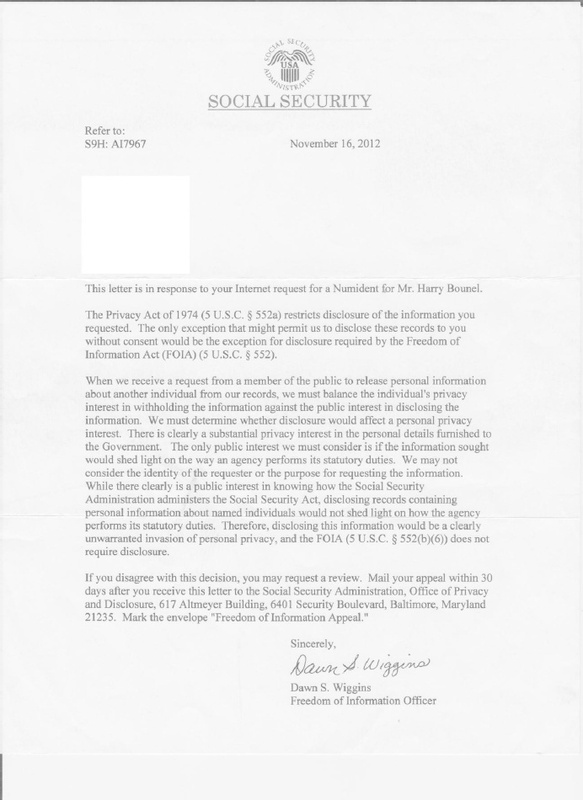 Vogt, along with veteran typesetter Paul Ivey, conducted “exhaustive research of the document provided to the White House Press Corps on April 27, 2011 – not the online PDF, a critical distinction that must be understood,” Hagmann said. “Using their combined experience of 80 years in this realm, they conducted extensive examinations of the ‘copy’ that was used as the basis for the PDF document. They acquired the same type of equipment that was used back in the late 1950s and early 1960s in an attempt to recreate the document presented as an ‘authenticated copy’ proving the legitimacy of Barack Obama. Instead, they found 20 points of forgery on that document and detail each point of forgery in the affidavit,” wrote Hagmann. “First, the dishonesty is shameless and in your face. Mr Obama’s advisers, once they realized the ‘birth certificate’ was as bogus as a $3 bill, knew that if they simply went on pretending that $3 bills are legal tender the hard-left-dominated news media would carefully and continuously look the other way, pausing occasionally to sneer at anyone who pointed out that, in this constitutionally crucial respect, the ‘president’ has no clothes,” Monckton wrote. “The police, correctly, passed the file to the state’s attorney general, a ‘Democrat,’ who did nothing about it,” he said. One of the highest profile skeptics has been billionaire Donald Trump. Trump said he can’t be certain that Obama is eligible to be president, and he pointedly noted that a reporter who was poking fun at the issue admitted he can’t, either. Trump repeatedly has insisted Obama has not documented his eligibility. At one point, he offered $5 million to the charity or charities of Obama’s choice if he would release his passport records and authorize the colleges he attended to release his applications and other records. Trump’s conversation with ABC’s Jonathan Karl started with Karl noting that Trump took on the “not serious” issue of eligibility. When Karl admitted he was “pretty sure,” Trump jumped on the statement. 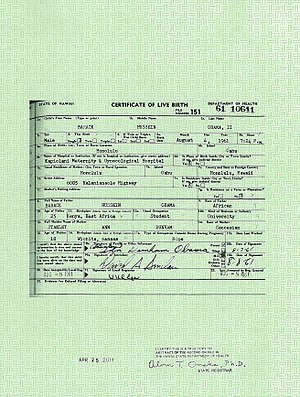 Among the many records the Obama camp has refused to release are the marriage license of his father (Barack Sr.) and mother (Stanley Ann Dunham), name change records (Barry Soetero to Barack Hussein Obama), adoption records, records of his and his mother’s repatriation as U.S. citizens from Indonesia, baptism records, Noelani Elementary School (Hawaii) records, Punahou School financial aid or school records, Occidental College financial aid records, Harvard Law School records, Columbia senior thesis, Columbia College records, record with Illinois State Bar Association, files from his terms as an Illinois state senator, his law client list, medical records and passport records. Monckton, citing Zullo’s sworn affidavit in a court case, published a sworn mathematical analysis demonstrating the near-zero probability that the White House “birth certificate” is genuine. For a long time, the Republican hunt for the truth surrounding the Benghazi terror attack has reminded me of one of President Reagan‘s favorite jokes. It concerns a little boy whose parents worried he was too optimistic. So they took him to a psychiatrist. Trying to dampen his spirits, the doctor led the boy into a room piled high with horse manure. The boy unexpectedly squealed with delight and began digging through it. “What on earth are you doing?” the psychiatrist asked. And so it is with Benghazi. Republicans, convinced that the American people are being hoodwinked by the Obama administration, have been digging through the doo-doo for eight months. There must be a conspiracy and cover-up in here somewhere, they think. There must be. The White House has scoffed at this witch hunt for months. But this week, it’s looking like they’re the ones standing in the doo-doo — playing politics, it seems, with tragedy. The administration has long maintained that the now-infamous talking points used by U.N. Ambassador Susan Rice on five Sunday talk shows just days after the September 11 attack were the product of the intelligence community. We know the talking points originated in the intelligence community. But the final product itself? No. Those talking points originated from the intelligence community (IC). They reflect the IC’s best assessments of what they thought had happened. The White House and the State Department have made clear that the single adjustment (emphasis added) that was made to those talking points by either of those two institutions were changing the word ‘consulate’ to ‘diplomatic facility’ because ‘consulate’ was inaccurate. The only edits made by anyone here at the White House were stylistic and nonsubstantive. They corrected the description of the building or the facility in Benghazi from consulate to diplomatic facility and the like. And ultimately, this all has been discussed and reviewed and provided in enormous levels of detail by the administration to congressional investigators, and the attempt to politicize the talking points, again, is part of an effort to, you know, chase after what isn’t the substance here. Is there a White House connection? ABC notes that in a Sept. 14 email — two days before Rice went on TV — Deputy National Security Advisor Ben Rhodes said the State Department’s concerns needed to be addressed. “We must make sure that the talking points reflect all agency equities, including those of the State Department,” Rhodes noted. The final talking points eventually given to Rice reflected State’s concerns, but Carney told us that it’s all on the up-and-up because the changes were signed off on by the CIA. There’s a meatpacking-like quality to all this. You don’t really want to know how your hamburger is processed, do you? The administration’s defense — and it’s looking thinner than ice on a late spring pond — is that government bureaucracy is messy and multi-layered and that’s a big part of why Rice said what she did. Benghazi occurred seven weeks before election day. The administration’s strategy was simple: Downplay the terror attack, change the narrative, and run out the clock. And that’s what it did. But now the dam has burst. Carney’s “here at the White House” comment has essentially thrown Clinton under the bus. Republicans, who leaked the edited emails to Karl and Hayes, have succeeded on two fronts: They’ve got the administration on the defensive over Benghazi, and they’ve weakened the Democrat’s most formidable 2016 candidate. It seems that after all that digging, Republicans have found their pony at last. But “it is possible, I suppose to imagine an extraordinary circumstance in which it would be necessary and appropriate under the Constitution and applicable laws of the United States for the President to authorize the military to use lethal force within the territory of the United States,” Holder said. “For example, the President could conceivably have no choice but to authorize the military to use such force if necessary to protect the homeland in the circumstances of a catastrophic attack” like Pearl Harbor or 9/11. “Were such an emergency to arise, I would examine the particular facts and circumstances before advising the President on the scope of this authority,” said Holder. Paul, whose office released the letter, denounced the attorney general’s comments. “The U.S. Attorney General’s refusal to rule out the possibility of drone strikes on American citizens and on American soil is more than frightening—it is an affront the Constitutional due process rights of all Americans,” the senator said in a statement. The exchange came as the White House agreed to give Senate Intelligence Committee members access to all of the Justice Department’s Office of Legal Counsel opinions justifying Obama’s expanded campaign of targeted assassination of suspected terrorists overseas, including American citizens. Some lawmakers had warned they would try to block top Obama counterterrorism adviser John Brennan’s nomination to head the CIA unless they were able to see the memos. Obama’s drone war—relatively popular at home, reviled across the Muslim world—has drawn fresh scrutiny ever since NBC News obtained and published a Justice Department memo that lays out the legal justification behind it. The White House has defended the policy as “necessary,” “ethical” and “wise.” But civil liberties champions have sharply criticized it. Republicans alarmed at the apparent challenges they face in winning the White House are preparing an all-out assault on the Electoral College system in critical states, an initiative that would significantly ease the party’s path to the Oval Office. Senior Republicans say they will try to leverage their party’s majorities in Democratic-leaning states in an effort to end the winner-take-all system of awarding electoral votes. Instead, bills that will be introduced in several Democratic states would award electoral votes on a proportional basis. Already, two states — Maine and Nebraska — award an electoral vote to the winner of each congressional district. The candidate who wins the most votes statewide takes the final two at-large electoral votes. Only once, when President Obama won a congressional district based in Omaha in 2008, has either of those states actually split their vote. But if more reliably blue states like Michigan, Pennsylvania, and Wisconsin were to award their electoral votes proportionally, Republicans would be able to eat into what has become a deep Democratic advantage. All three states have given the Democratic nominee their electoral votes in each of the last six presidential elections. Now, senior Republicans in Washington are overseeing legislation in all three states to end the winner-take-all system. 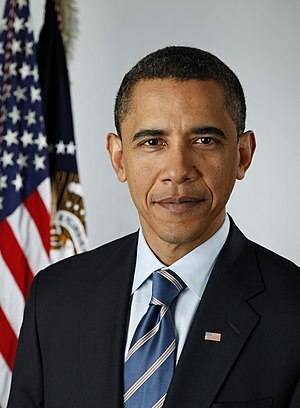 Obama won all three states in 2008, handing him 46 electoral votes because of the winner-take-all system. Had electoral votes been awarded by district, Republican nominee Mitt Romney would have cut into that lead. Final election results show that Romney won nine of Michigan’s 14 districts, five of eight in Wisconsin, and at least 12 of 18 in Pennsylvania. 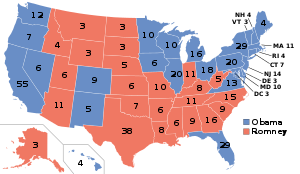 Allocate the two statewide votes in each state to Obama and that means Romney would have emerged from those three Democratic states with 26 electoral votes, compared with just 19 for Obama (and one district where votes are still being counted). Republicans are able to contemplate such a bold plan because of their electoral success in 2010, when the party won control of state legislative chambers and the governorships in all three states, giving them total control over the levers of state government. The proposals, the senior GOP official said, are likely to come up in each state’s legislative session in 2013. Bills have been drafted, and legislators are talking to party bosses to craft strategy. Saul Anuzis, the former chairman of the Michigan Republican Party, has briefed Republican National Committee Chairman Reince Priebus and Chief of Staff Jeff Larson on his state’s proposal. The proposal “is not being met with the ‘We can’t do that’ answer. It’s being met with ‘I’ve already got a bill started,’ ” the official said. Republican state legislators are motivated to act after Romney’s loss. And the party lost legislative seats in all three states, adding urgency to pass the measures before voters head to the polls in 2014. Tweaks of electoral-vote rules are hardly unprecedented, according to Michael McDonald, a political scientist at George Mason University. State legislatures routinely changed Electoral College allocation rules in the early years of the Republic; the political fallout then can inform present-day lawmakers considering the changes. In the long run, Republican operatives say they would like to pursue similar Electoral College reform in Florida, Ohio, and Virginia. Obama won all three states, but Romney won a majority of the congressional districts in each state. Any changes to the allocation of Electoral College votes would have a major impact on each party’s path to the White House. Eighteen states and the District of Columbia have given Democrats their collective 246 electoral votes in each of the last six elections. That virtually forces Republicans to run the swing-state table. But rewriting the rules would dramatically shrink or eliminate the Democratic advantage, because of the way House districts are drawn. The decennial redistricting process has dumped huge percentages of Democratic voters into some urban districts, while Republican voters are spread over a wider number of districts, giving the party an advantage. This year, Democratic House candidates won more than 1 million more votes than Republican candidates, but Republicans won 33 more seats. And if Republicans go ahead with their plan, Democrats don’t have the option of pushing back. After the 2010 wave, Democrats control all levers of government in only one state — West Virginia — that Romney won this year. Some consistently blue presidential states have Republican legislatures; the reverse is not true. Some Republicans acknowledge that the party would open itself up to charges of political opportunism, but that they would frame the proposal as a chance to make the system more fair. In the wake of last week’s presidential election, thousands of Americans have signed petitions seeking permission for their states to peacefully secede from the United States. The petitions were filed on We the People, a government website. States with citizens filing include Alabama, Arkansas, Colorado, Florida, Georgia, Indiana, Kentucky, Louisiana, Michigan, Mississippi, Missouri, Montana, New Jersey, New York, North Carolina, North Dakota, Oregon, South Carolina, Tennessee and Texas. Oddly, folks from Georgia have filed twice. Even stranger, several of the petitions come from states that went for President Barack Obama. The petitions are short and to the point. For example, a petition from the Volunteer State reads: “Peacefully grant the State of Tennessee to withdraw from the United States of America and create its own NEW government.” Of all the petitions, Texas has the most signatures so far, with more than 23,000. Of course, this is mostly a symbolic gesture. The odds of the American government granting any state permission to go its own way are on par with winning the lottery while getting hit by a meteor while seeing Bigfoot while finding gluten-free pizza that tastes like the real thing. An article from WKRC quotes a University of Louisville political science professor who explained that these petitions aren’t uncommon. Similar petitions were filed following the 2004 and 2008 elections. Still, should the petitions garner 25,000 signatures in a month, they will require an official response from the Obama administration. Not everybody who wants to secede is polite enough to write a petition. Peter Morrison, treasurer of the Hardin County (Texas) Republican Party, wrote a post-election newsletter in which he urges the Lone Star State to leave the Union.